Troubleshooting, maintenance and repair for video cabling and video surveillance security systems are part of the package at San Tan Communications. We also offer design and installation of surveillance cameras and video cable, and carry wireless security cameras as some of our many CCTV options. We have long been a Valley favorite for cable installation of CAT 5 cabling, fiber optic cabling, Ethernet cable, and more. Our many satisfied clients rely on our professional cable installers to get the job done right and you can too. We look forward to the pleasure of providing your company with the troubleshooting and maintenance services to keep your systems running efficiently. 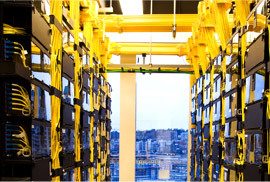 We are proud to say that we employ some of the finest installers of cable in the industry. Our video surveillance security systems are backed up by our service experts who are committed to keeping your system performing at optimum levels through maintenance, troubleshooting and repair. 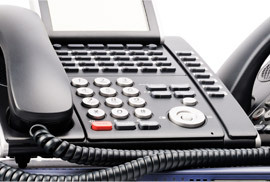 You can depend on San Tan Communications to deliver the products and services you need. 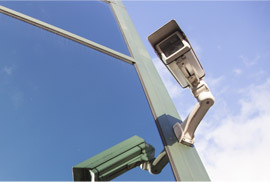 San Tan Communications is a leading provider of video security options, and offers not only design and installation but also troubleshooting and repair services for surveillance systems, their cabling and more. Our installation and repair experts will make certain your business is protected with a system that you can count on when you need it most. Interested in our VIDEO CABLING. Please fill out the form below.